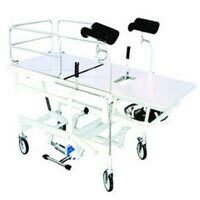 Looking for a trustworthy obstetric labour table manufacturer, exporter, and supplier from new delhi? 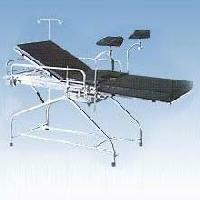 the obstetric labour table is well-known for high quality functioning. 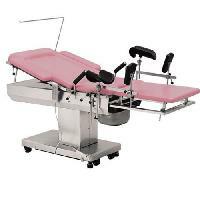 The obstetric labour table comes with three sections that include- top backrest adjustable on a ratchet, middle section with u cut leg and an end section that can slide under mainframe, telescopic type trendelenburg position basin for drainage. Wholly made of stainless steel) Three sectional stainless steel top mounted on strong & precise s. S. Tubular frame. 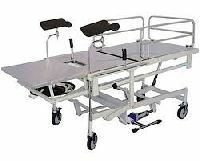 Back-rest adjustable on ratchet. Leg section slide under main frame. 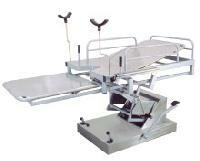 Trendelburg positions achieved with the help of Gear mechanism. 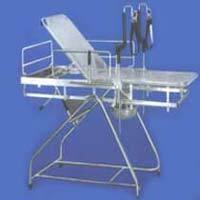 Standard Accessories :- head & side safety railing. 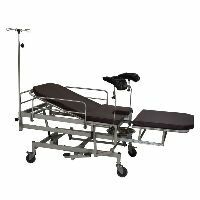 S. S hand grip adjustable. 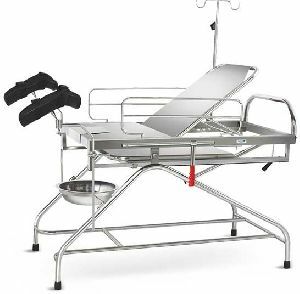 Sliding S.S douche tray. 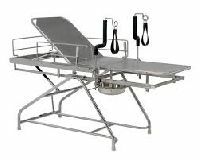 Lithotomy rods with straps. 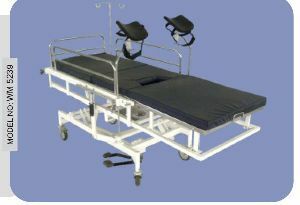 50 mm thick sectional mattress. 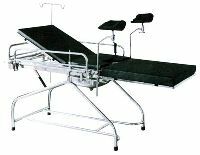 Three section top. 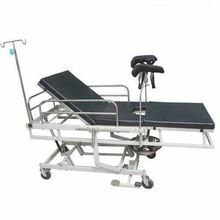 Backrest adjustable on ratchet. Middle section with "U" cut. 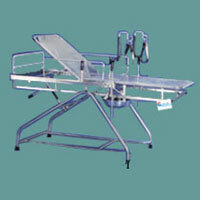 Leg end section can slide completely under the main frame. 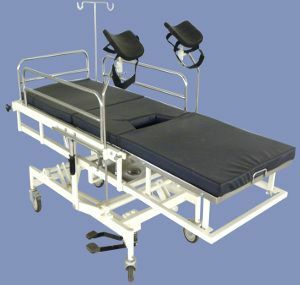 Gas spring assisted Trendelenburg position. 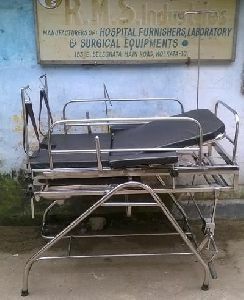 Complete with SS head and side railings, SS hand grips, rubber padded SS lithotomy rods and SS bowl. 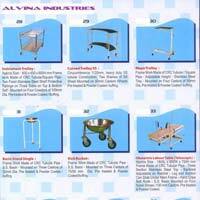 Alliance Impex is a renowned Obstetric Labour Table Manufacturer in India. 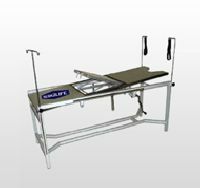 We manufacture high quality Obstetric Labour Tables for African, Gulf and Asian Countries. 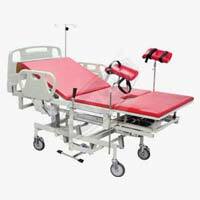 Our Obstetric Labour Tables are used all acorss hospitals and various medical facilities. 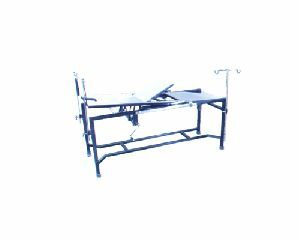 CRCA steel tube frame. 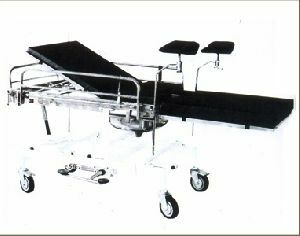 SS three section top, Leg section slides completely under the trunk section. 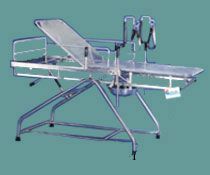 Trendelenburg’s position by Pneumatic pump. 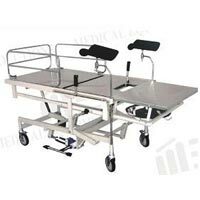 We are engaged in manufacturing and supplying of Obstetric Labour Table that is available in the size of 1840 L x 850 W x 810 H. The top of the table is divided in three sections and the frame is made using quality stainless steel. 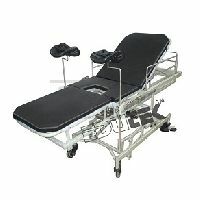 This table is provided with foam mattress and its top can be tilted to reverse trendeleburg and trendelenburg positions with help of the liver handle. 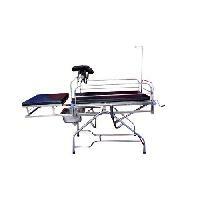 We are offering all types of Obstetric Labour Table MS & with SS Top that are available from us at very nominal prices.